Pioneers in the industry, we offer pvc hybrid board, pvc tremite board, pvc water proof board and pvc board from India. Our expertise lies in offering our clients a wide range of PVC Hybrid Board, which is manufactured at our up to date manufacturing unit with the use of quality tested raw material and cutting edge technology. The manufacturing process of this foam board is vigilantly monitored at each step to make sure its reliability. Available in various sizes and thickness, our clients can avail this foam board from us at industry leading price. We are among the trusted names in the market that are engaged in providing a wide range of PVC Tremite Board Our offered boards are highly demanded across the market due to features of fine finishing and cost effectiveness. Apart from this, we are offering our products at most economical price. With enormous years of industry experience, we have emerged as the leading manufacturer and supplier of premium quality PVC Water Proof Board. The offered foam board is manufactured in closed cell structure using finest quality raw material and contemporary technology by our professionals. 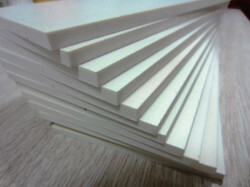 We offer this foam board in a variety of sizes and thickness at market leading rates to our clients. Our expertise lies in offering our clients a wide range of PVC Board, which is manufactured at our up to date manufacturing unit with the use of quality tested raw material and cutting edge technology. 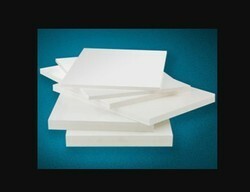 The manufacturing process of this foam board is vigilantly monitored at each step to make sure its reliability. Available in various sizes and thickness, our clients can avail this foam board from us at industry leading price.